We offer high end bar services at a competitive price for every event imaginable: weddings, corporate functions, exhibitions, private parties and many more. Our goal is to deliver exceptional service from the moment you first contact us to last orders. 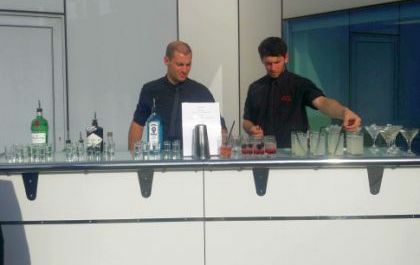 We offer an array of services: all inclusive bars, cash bars, cocktails, mocktails, juices, dry hire and staff. Our pricing is completely transparent. There are no hidden costs and our all inclusive is just that. 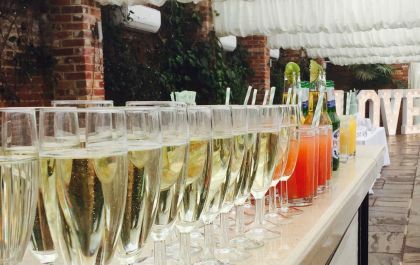 We have 1.5 metre bars which are perfect for small functions and up to a huge 18 metres for very large events. 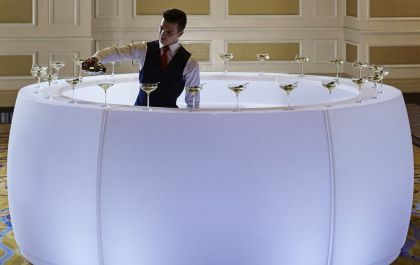 Our bars make a stunning feature at any party and can be customised for clients. Just give us a call or email and we'll be happy to discuss options for your event!